Minesh qualified in 1991 in London and entered general practice in 1996, joining a GP partnership in a total purchasing pilot. He is a GP Partner at Moatfield Surgery in East Grinstead. He took on the Mid-Sussex Primary Care Trust (PCT) lead role to adopt gold standards frameworks for coronary heart disease (CHD) and then diabetes. 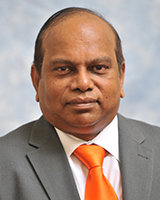 Minesh then became the Mid-Sussex PCT Professional Executive Committee chairperson. He has been a clinical voice in commissioning and for the last five years has been the Chair of Horsham and Mid-Sussex Clinical Commissioning Group. He led a review of Stroke Services in Sussex and chairs the Sussex Sustainability Transformation Partnership (STP) Clinical Board. Minesh has led the development of the Healthy East Grinstead Partnership Primary Care Home. Karen registered as a pharmacist in 1989. 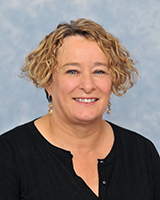 Over the past decade, she has pioneered the roles of pharmaceutical adviser, independent prescriber, clinical pharmacist at a GP practice, pharmacist partner, pharmacist chair of a GP federation and most recently became clinical board member of Northern, Eastern and Western NHS (NEW) Devon Clinical Commissioning Group. 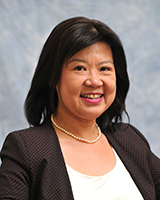 She was elected to the NAPC Council in 2012 and Honorary Secretary in 2015. Karen leads on the NAPC Innovation Network, helping member practices test new ideas and build relationships with non-NHS organisations to support innovation projects. She passionately believes that primary care provides high-quality care that is diverse and sustainable for the future, as we work together as one team across health, social care, volunteer and corporate sectors. After qualifying as a nurse in 1985, Julie worked in general practice from 1988 before moving on to roles looking at the quality of primary care. She was Chief Operating Officer for a large community trust and was Director of Nursing and Quality for 13 years, the last two with Nottingham and Derby area team for NHS England. Julie retired from the NHS in 2015 and is an independent consultant working predominantly with primary and community services. She is also a Non-Executive Director of Locala, a large community provider in West Yorkshire. Julie remains a registered and passionate nurse. 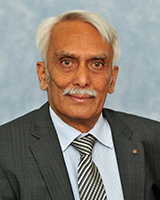 Dr Durairaj Jawahar is Treasurer of the NAPC and has been a GP for more than 30 years. He is an Executive Partner of Manor Park Medical Practice in Leicester, serving 15,800 patients. He chairs the Millennium Federation of three Leicester practices which form part of the primary care home programme’s community of practice. Dr Jawahar is passionate about implementing innovative care models and was instrumental in securing funding for four highly successful walk-in health hubs, enabling Leicester patients to access appointments during the evenings, at weekends and on bank holidays. The federation will soon will be introducing an app to help patients self manage long term conditions. 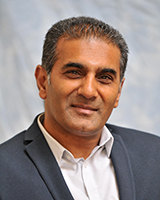 Dr Peter Patel is a scientist with 22 years’ experience in biomedical and health care sector, and significant management and leadership experience in academia and industry. Peter joined general practice in 2003 and in 2017 stepped down from holding a full-time contract to lead on international work in disaster medicine and improving primary care for developing countries with a focus on commonwealth countries. While working in primary care, Peter founded and led South Birmingham Independent Commissioning Group as their Chair. Peter was also CEO and Founder of the first phase of Pathfinder CCG group and supported other PBC groups such as Walsall and Nuneaton in the region, enabling transformation in primary care. John has more than 35 years’ experience in healthcare – his roles have included Finance Director and acute trust Chief Executive, for more than a decade. He worked at national level for the Department of Health as part of a team reviewing whole health communities and as Chief Operating Officer for the London Deanery. 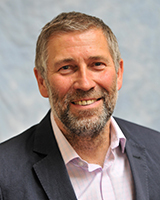 John joined the NAPC in late 2015 supporting the development of the primary care home programme and was appointed Chief Executive Officer in summer 2016. He is inspired by local frontline energy and a desire to improve local health and care services. 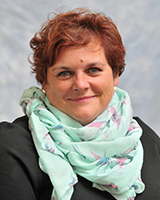 Sally joined the NAPC in 2001 from a multinational IT organisation, looking for a complete change in industry. Her background is administration management and support. Sally’s role as Chief Operating Officer is to ensure the day-to-day running of the organisation supporting and working closely with the Chief Executive Officer, Chair and President. She finds it hugely rewarding to work at the heart of an innovative organisation which is shaping the future of healthcare, influencing policy and connecting professionals across primary care.